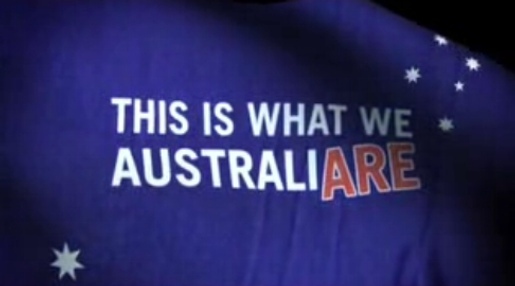 This is what we Australi-Are is the winner of the GetUp! TV ad competition, Oz in 30 Seconds, announced on August 1. Judges were Anthony Mclellan, Julian Morrow, Margaret Pomeranz, Bruce Hunt, Senator Bob Brown, and Brett Solomon. The Australia-Are TV ad was developed by director Paul Andersen and creative Adrian Elton.